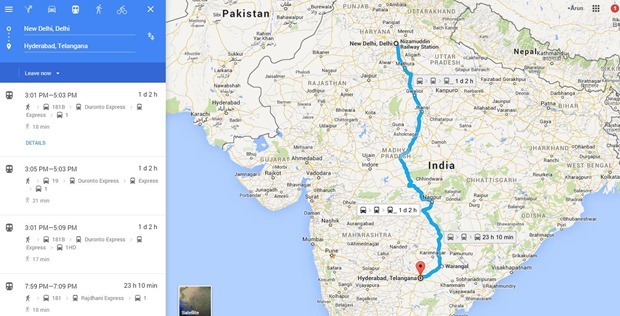 Now, Google Maps Transit Adds Indian Railways Schedule For Over 12000 Trains! Google Maps keeps improving and making your life easier, whether you are traveling within your city or whether it is travel across states or even internationally- it can help you tremendously in any kind of travel. Now, Google Maps has added yet another feature to Google Transit that will help you plan your public transport trips even more quickly and easily. They have added Indian Railways schedules for over 12,000 trains and also have further updated bus and metro information from Ahmedabad, Bengaluru, Chennai, New Delhi, Hyderabad, Kolkata, Mumbai and Pune cities. So, for example if you are traveling from Delhi to Hyderabad to visit your relatives. just open Google Maps on Android or iOS or your desktop pc and type the destination address. 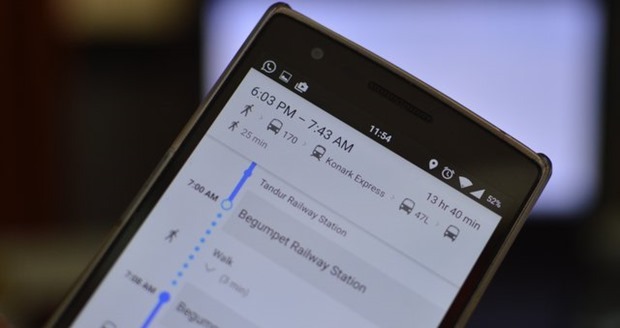 Google Transit will intelligently tell you, whether you should take a Metro or a bus to nearest Railway Station. It will also tell you the earliest and best train schedule for traveling to Hyderabad. And, it will let you know which kind of public transport to take after your reach Hyderabad to reach your destination. In short, it will give you full directions from point A to point B, across various transportation means including buses, Metro’s and Railways. Being able to see your entire train route and all the stops, means you know which stop is coming up next and roughly how far it is. And for those times when you want to see everything at a glance, the Schedule Explorer menu on desktop helps you easily see and scroll through all the options on the big screen. There is no doubt that Google Transit has now become an indispensable companion for any kind of travel you may undertake. With it, you will never be lost, and will always know what is the best and fastest route and which form of transportation will get you to your destination in quickest time! So, next time you are traveling to a new location, make sure you check Google maps transit feature before you step out of the house, you may just save much precious time!